This hotel was in a perfect location and the staff were so incredibly sweet. The breakfast was excellent and good portions. Incredible views over the river, super clean and comfy! The river view was awesome. I especially loved the bench outside my window to enjoy the landscape and thunder storms. Staff was also accommodating and friendly re tour arranging. Excellent location, good a/c and a reasonable size room with lovely views of the water. The reception was very good and professional. We had someone who took is to the room from the boat and showed us around the village. The room was a standard room with a good airconditioning. Good location within the village itself. Clean bedroom, good aircon. The view from the balcony over the river was fabulous. 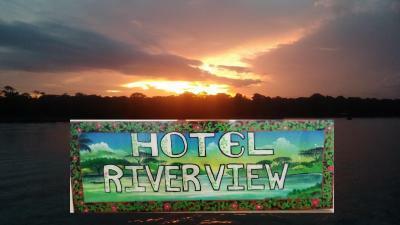 Hotel River View offers riverside accommodations surrounded by lush tropical gardens in Tortuguero. All rooms feature comfortable bedding and a private bathroom. A flat-screen TV is featured as well as bed linen and towels. 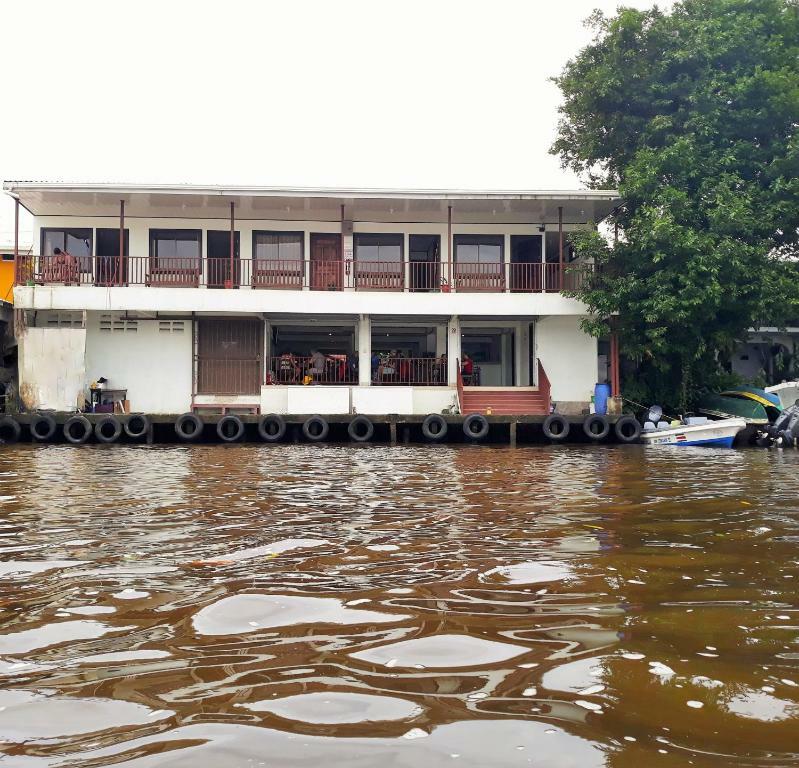 There is a tour desk at the property, that can assist in arranging activities in the surrounding area such as a visit to Tortuguero National Park located just 1,950 feet away, or the main port located 650 feet away from the property. When would you like to stay at Hotel River View? This quadruple room features Air conditioning and River View. This triple room features features air conditioning and river view. 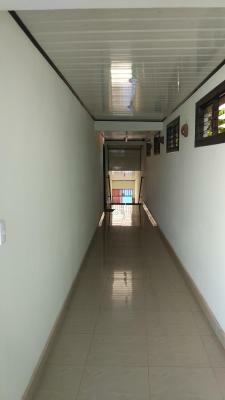 It is simple but very comfortable with amenities like wifi and hot water in every room place. We are in the very center of the village so you have access anywhere just walking in short time. the idea of the hotel is offering a good deal, good rooms at a reasonable price so that we have leisure guests without abusing their pockets. House Rules Hotel River View takes special requests – add in the next step! Hotel River View accepts these cards and reserves the right to temporarily hold an amount prior to arrival. Please inform Hotel River View of your expected arrival time in advance. You can use the Special Requests box when booking, or contact the property directly using the contact details in your confirmation. Had to change rooms due to ac breaking. Not really a negative. They fixed the issue asap. They need to have something in the room to put clothes in or on and maybe hang a few items. - The owner was pretty rude when we arrived. Not welcoming at all. Apparently someone should have greeted us when we arrive in Pavona, but we didn't see a sign. He made us feel like it was our fault. Not the warm welcome you'd expect! - The room without a balcony is small and only had a window looking inside the building, which makes you feel locked up. - The bed sheets were full of ants and had brown stains in it. - The pillows were so smelly I couldn't fall asleep on them. - The sink was very moldy. - The shower had a massive cockroach in it and would only get too hot to shower or cold. - There were ants crawling all over the room. - We get this is Jungle / Costa Rica, but considering this was a more expensive option in the area this was definitely not worth the money! Dirty and uncared room and bathroom no windows, small, no wardrobes or space for unpack, air conditioning not working. Nobody to assist us, very old and torn towels. Absolutely horrible. Little difficult to find where you get the keys as there is no reception on site. Shower was rubbish but at least it worked. For what it was, I felt it was quite expensive but I guess on tortuguero in august that's the way it is. The view was fabulous but the room was very basic. No hanging space and no drawers. There was only a bench outside room on balcony, no lounge or chilling out area which was difficult as we were there for 3 nights. Reception was also not on site. Room was very expensive compared to other places in Costa Rica that had a lot of facilities. There was no closet, hooks, or hangers to hang anything. This was very inconvenient due to he fact that it's so humid, and also clothes are constantly getting wet from the rain. I had to get really creative about how to dry towels etc. The window also only had an opaque curtain, which was awkward because if I wanted light, then I had to be on display to passerbys who stayed in neighboring rooms. It would have been nice had there been a sheer curtain as well.